Mention Parent Friendly Stays when you book a family holiday at the Milkshed and receive an exclusive free bottle of wine on arrival! The Milkshed is located in East Devon, 2.8 miles outside of Honiton. It’s less than a 20-minute drive to the south coast and the beautiful beaches at Beer, Lyme Regis, and Sidmouth are all a short drive away. Exeter is less than a 20-minute drive away. Devon has plenty on offer for the children including the Jurassic coastline and learn about the fossils at the Seaton Jurassic Centre, Exmoor Zoo, The World of Country Life, Pennywell Farm and Devon’s new trampoline park ‘I Bounce’. All of these a short drive from the Milkshed. The Milkshed is a recently converted stone barn which has been designed to a luxurious standard. It has two double bedrooms and special features including a wood burning stove, a free standing claw bath and underfloor heating – little touches which we think will really make your stay at the Milkshed extra special! The cottage costs around £1000 for a week in the height of the summer but prices drop to about £460/week off peak. 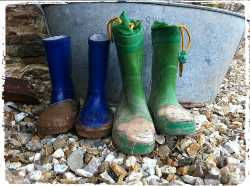 There is plenty to keep the children busy at The Milkshed. Firstly there is a large enclosed garden – great for letting the children out to play and knowing that they’ll be safe and can’t get out. If that isn’t enough then there’s also a further 4 acre meadow available to guests – enough space for any child to burn off their energy! There’s also a play area, tennis courts onsite and chicken feeding; and for family friendly days out there are several beautiful beaches only a short drive away. 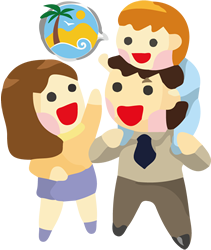 Older children (and their parents!) 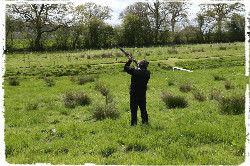 may also enjoy the carp fishing and clay pigeon shooting on offer at the Milkshed. Now this is where the Milkshed really does come into its own! One of the Milkshed’s owners is a Michelin level, fully trained chef which means guests have the option of gourmet dinners, picnic hampers or perhaps a meal awaiting your arrival – what better way to save you having the stress of cooking on your first night away. We love the idea of sitting back relaxing whilst someone else prepares an amazing meal for the whole family (or even better just mum and dad when the kids are in bed!). 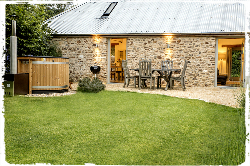 The Milkshed also benefits from its own wood fired hot tub giving you somewhere to spend a relaxing evening. On arrival guests will find a welcome treat in the cottage along with some local eggs, and if you want to order a grocery delivery before arrival the Milkshed will ensure the shopping is unpacked and put away neatly before you get there. The Milkshed have contact with local beauticians and hairdressers who are happy to come to the cottage if Mum (or Dad) want pampering. A babysitter is available if needed and, finally, there is complimentary WiFi available. 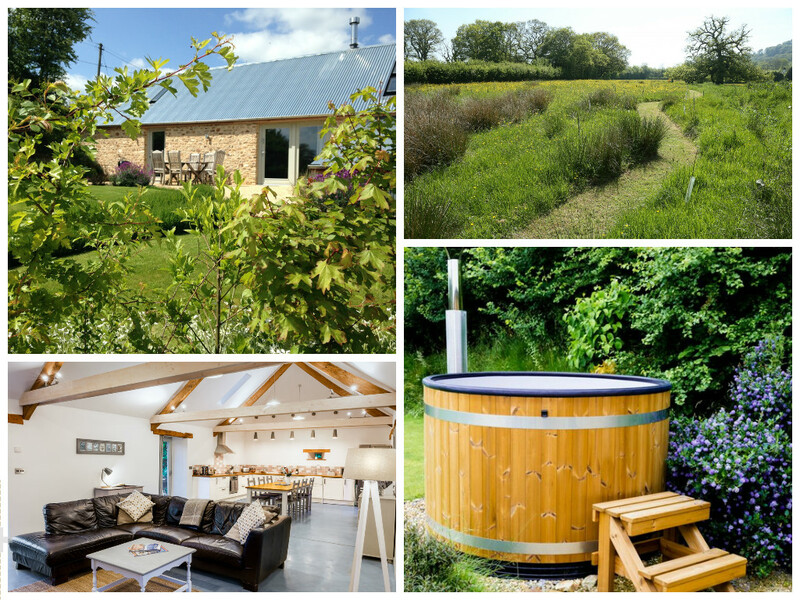 The Milkshed is a beautiful barn conversion offering a relaxing, private retreat for a perfect family holiday in Devon. What stands out to us are the abundance of parent friendly features – being able to relax in your luxury holiday cottage whilst being served a freshly prepared Michelin starred meal in restaurant style to your back door is a luxury not many holidays can offer – and you won’t even need a babysitter! “The Milkshed sleeps four people and is perfect for year-round holidays and short breaks. Converted from a crumbling old farm building in 2013-4, it now provides luxury, spacious holiday accommodation a couple of miles outside the market town of Honiton in the heart of East Devon. If you’d like to find out more about family friendly holidays at the Milkshed, including booking and availability enquiries, just fill out the form below.